The region in which GHNP is located has been subjected to outside influence for only four decades. The Park area still remains untouched by the road network, and provides an ideal opportunity for sound conservation efforts. 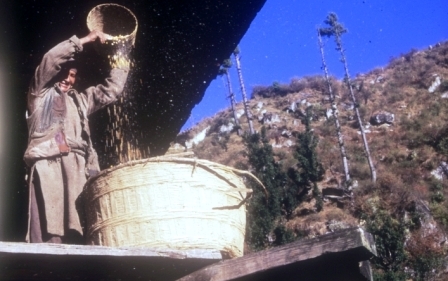 Until the 1960s human pressure on the Sainj-Tirthan area grew very slowly: activities were largely subsistence, with very limited export of natural resources beyond the area. Between villagers and the state, there was increasing intervention in British times, in a more centralized and bureaucratic system. 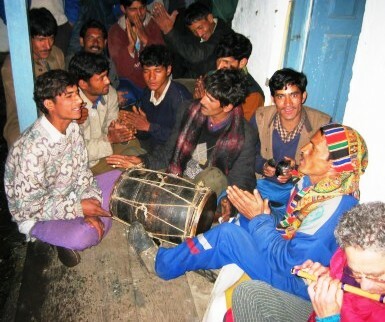 Villagers sometimes accommodated officials, sometimes evaded or even resisted them. This long, independent tradition made it very difficult to shift to today’s principle of participatory management in the area around GHNP. 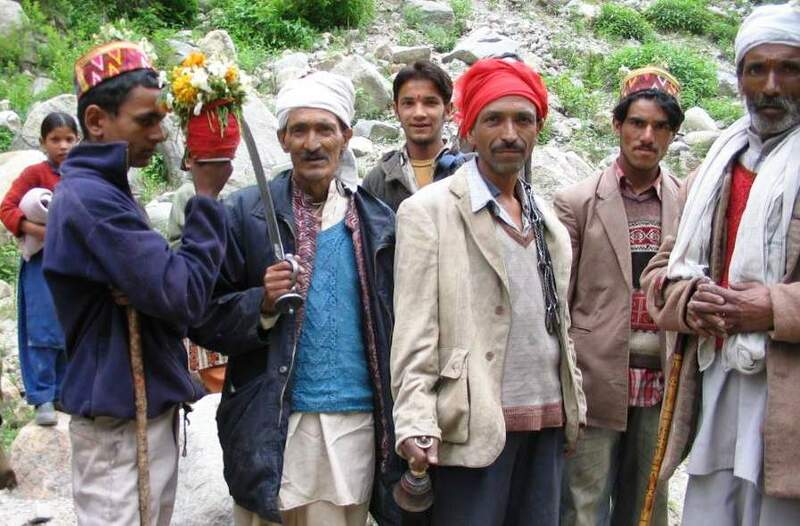 Mountain people living in the ecozone of the Park are generally very simple and fun-loving. Their songs are mostly based on the natural beauty and phenomena. The Park remains untouched by any road network and thus provides a unique opportunity for sound conservation efforts. Until the 1960s human pressure on the Sainj-Tirthan area grew very slowly. People in the area were primarily living at a subsistence level with very limited export of natural resources beyond the area. More recently, the state government’s commitment to rapid economic and social development of the area put great pressures on the environment. To overcome the Kullu mountain region’s inaccessibility, road and transport infrastructure became a first priority. In the late 1960s, local roads were steadily improved to make automotive traffic possible. These roads enabled regular bus service, allowing villagers from remote areas easy access to major towns for markets and labor. Smaller link road construction continues as part of state government infrastructure development. Almost each village has its own daiety (god) which is revered and obey more than any other institution in the village. 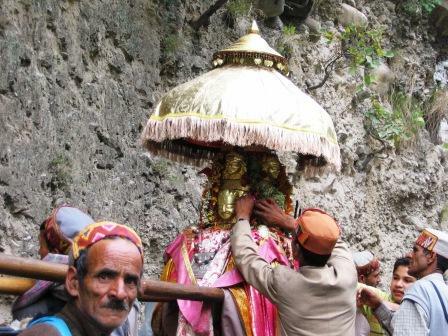 There are auspicious times when the local daiety (god) is taken out to designated places in nature, thus encouraging mobility and connectivity among the village folks. Women in GHNP ecozone are very hard-working. They take up responsibility for the household works. 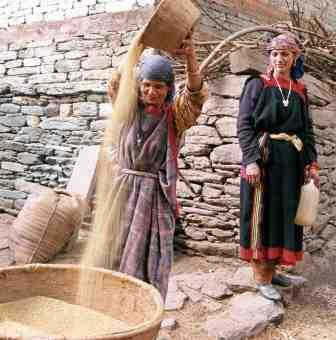 The agriculture produce is often for the subsistence. Not much surplus comes out of small land-holdings. 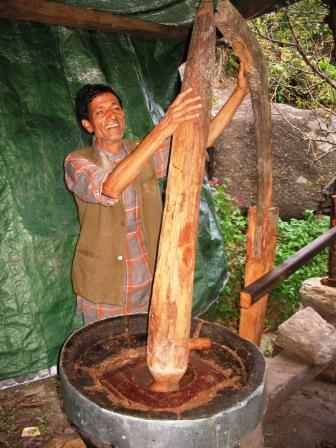 A traditional oil expeller in GHNP ecozone (Tirthan Valley). 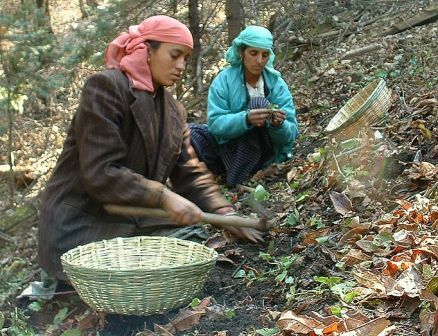 The Forest Department’s policies after Independence were consistent with the overall priorities of the Five Year Plans. Their priorities were accelerated timber cutting and contribution to rapid economic growth (rising market production and cash incomes). All the post-independence reconstruction schemes involve industrial expansion, river valley projects, electricity schemes and development of communication all of which lean heavily on forest produce. In response to environmental criticisms, commercial timber felling was banned statewide in 1978. Thereafter, the Forest Corporation carried out only salvage logging and established more wood depots for local people and fruit packers. 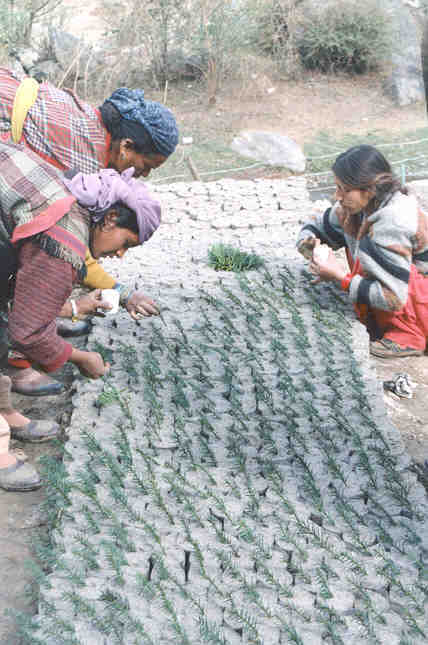 The trend of changing priorities was embodied in a new 1980 Himachal Pradesh Forest Policy, which instructed the Forest Department and Corporation to reorient their work toward reforestation and conservation. In line with the changed priorities, the department’s name was changed to the Department of Forest Farming and Conservation. be removed from any future GHNP. variation is probably a more advantageous habitat for many birds and smaller species. 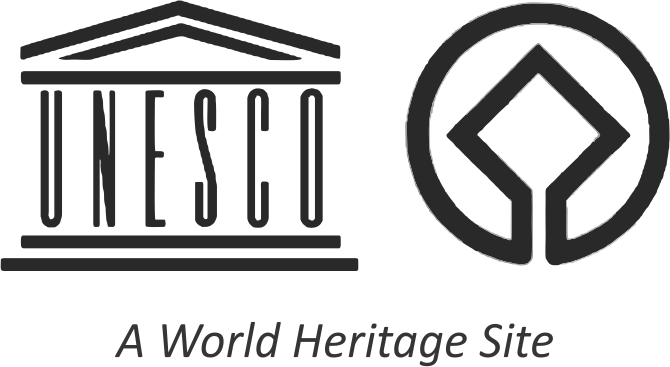 The second major pressure on GHNP’s biodiversity is the collection of medicinal herbs, as well as other minor forest products, especially morel mushrooms. This is a different issue from grazing rights, for administrators as well as local people, since the British Forest Settlements (e.g. 1880s Anderson onward) placed no restrictions on anyone’s collecting the herbs. Until the 1960s there was no significant commercial market for the major herbs and no one anticipated that this would become a critical issue for the Park. Members of Women Saving and Credit Groups in GHNP ecozone are given opportunity to work in the Park nurseries. Members of WSCGs working with the medicinal plants in the GHNP ecozone. Bamboos are mainly collected by landless Scheduled Castes (type known as ringal). As other cash income sources for unskilled labor, become more available, bamboo craftwork is declining . Pressure on bamboo appears not to have changed much in recent years and pose a serious ecological problem in and around GHNP. 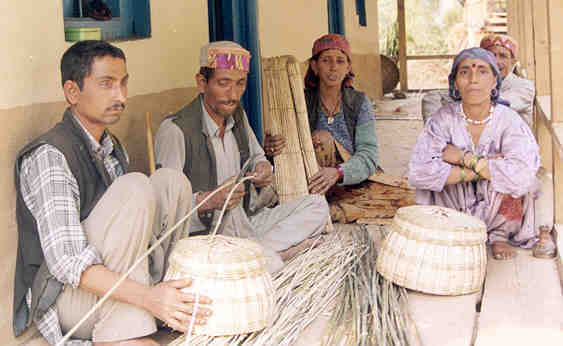 Basket weavers are prominent artisans in a village (Ropa village, Tirthan Valley, GHNP).